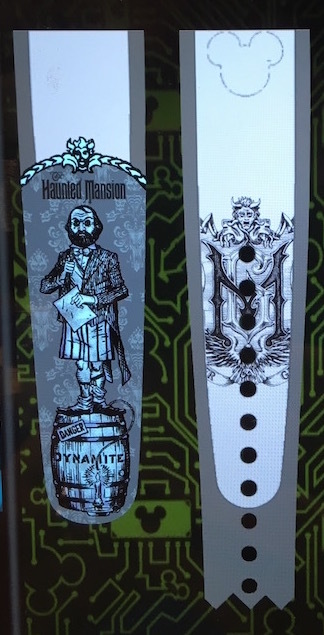 A ton of new MagicBand On Demand designs have been added to the Disney Springs (formerly Downtown Disney) Marketplace Co-Op station. 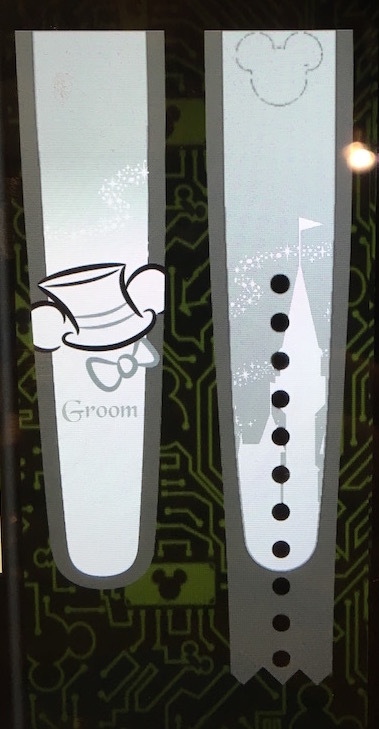 I expected there could be new designs added because Steven Miller, Merchandise Communications Manager over at the Disney Parks Blog, recently just announced new D-Tech phone cases. 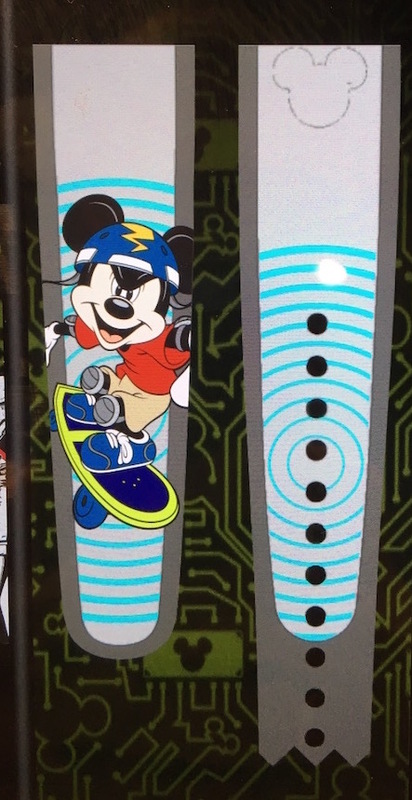 In the past when new D-Tech has been added, new MagicBand designs have come along with them. And sure enough, when I stopped by there tonight, new designs were available. I must admit, these new designs are awesome. 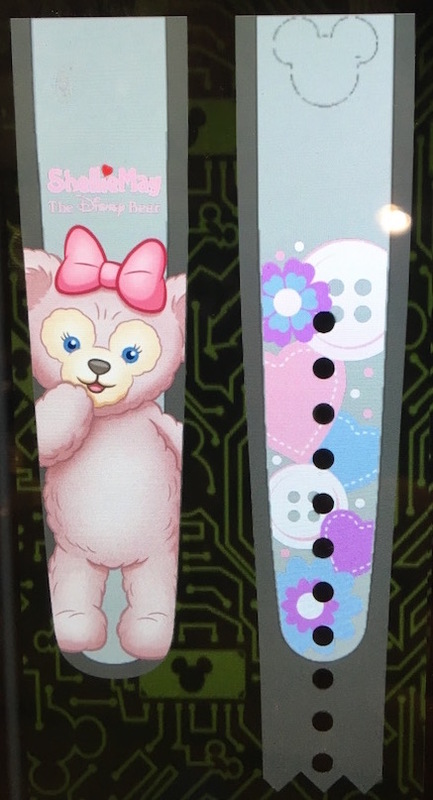 They’ve included some really must-have’s for the die-hard Disney fan including a really great set of Haunted Mansion designs, Hollywood Tower of Terror and Expedition Everest ride bands, and Duffy and even Shellie May! 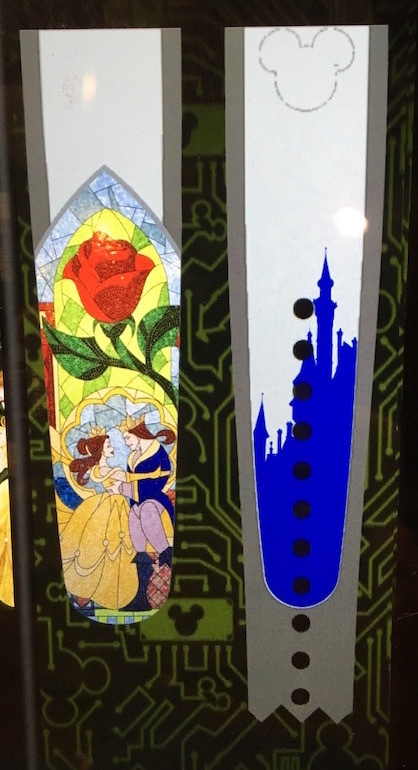 There are some great requested character bands as well including a stylish Maleficent, puppies from 101 Dalmatians, Daisy Duck, and a beautiful Beauty and the Beast band. Interestingly enough, there is also a Bride and Groom band, which are different than the wedding bands I just made an article about the other day. 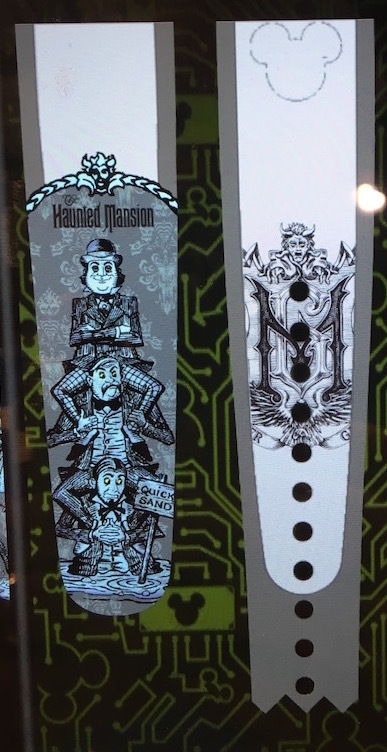 19 Responses to "Tons of new MagicBand On Demand designs added: Park attractions, Duffy, more"
It’s kind of interesting that they cut Diablo’s head off on the Maleficent design. any peter pan yet lol? but that maleficent is EPIC!! No Peter Pan yet, sorry! All On Demand bands come set to Link It Later by default. Any signs of a Mr Incredible band yet? I’ve been tasked by my Father-In-Law to find one before we visit in September! Haven’t seen or heard anything about one yet, sorry. I will post if I hear anything. Cheers Ethan – Keep up the good work!! Can’t wait to get the Maleficient band! 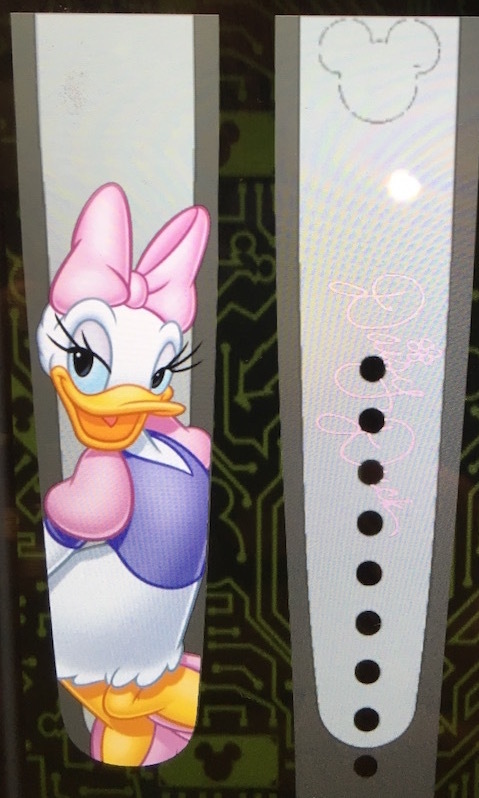 Do you think the in-park DTech stations will have additional new designs? I’ve been wondering about new Star Wars bands to coincide with the digital release. 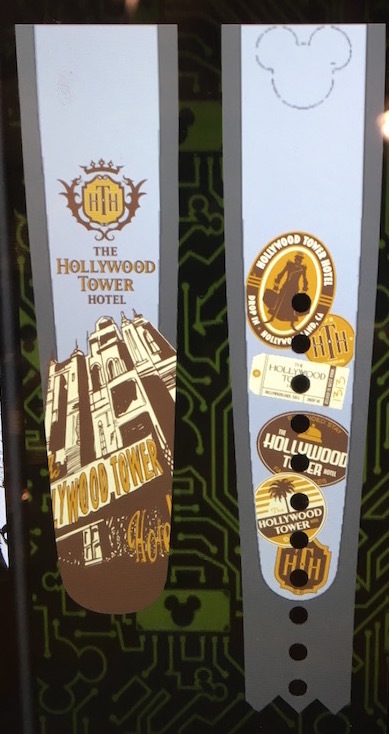 I was at Hollywood Studios a few days ago and there were no new designs. I’ll be checking Magic Kingdom soon. Do you think the tower of terror design would mean that the changeover to guardians of the galaxy was a hoax? I never really thought it was true, but it still could be. I don’t think this band being released says anything either way. My guess is that either Imagineering planted a false rumor to catch leakers, or maybe they planted it to see the reaction of the fans, or maybe it will be true? Who knows really. 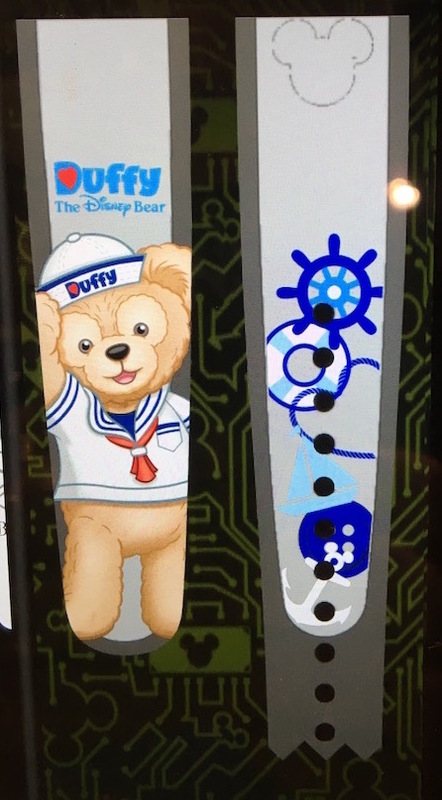 This may be a silly question, but I have never bought a MagicBand before through the on-demand designs. 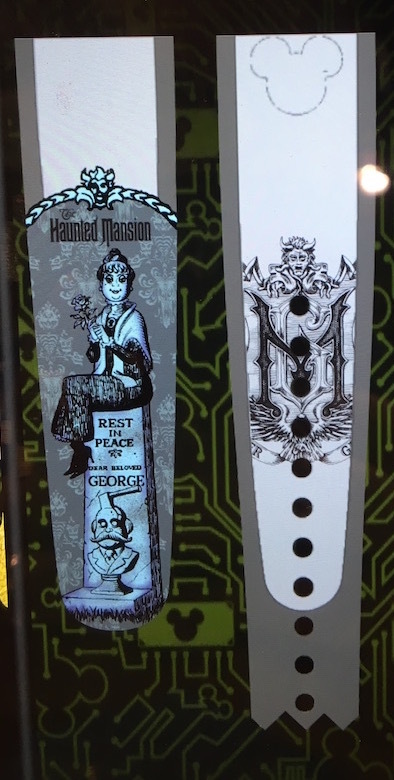 Can you choose the base color for the MagicBand that you want the design to be printed on, or is the MagicBand color already pre-picked based on the design. 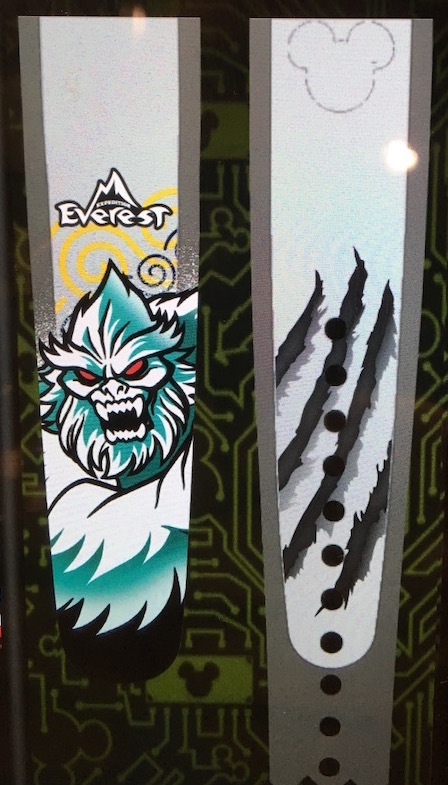 Also, will these new designs be around for a while? I won’t be going to Disney World until mid-May. Thanks. Yes, you can pick any base color you want. They should all still be there in May. They have yet to pull any designs and it’s been about 6 months since the first On Demand station was opened. Love the Duffy & Shellie May ones. Where can you find them? At the On Demand stations in the Co-Op Marketplace in Disney Springs or in the Magic Kingdom at the gift shop near Space Mountain. Thanks for this post!! 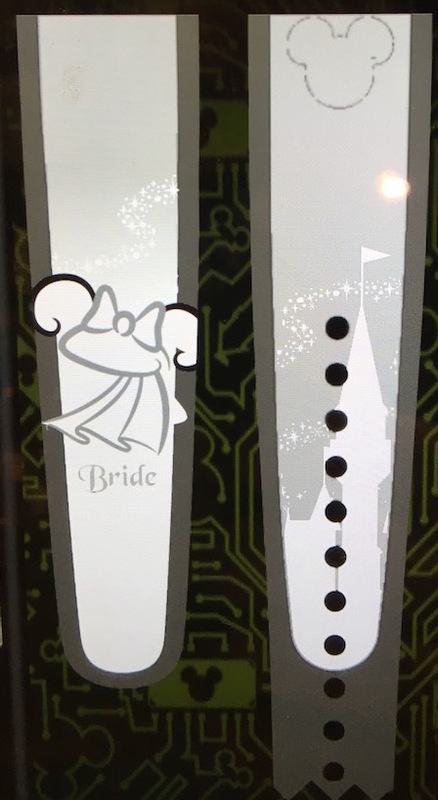 I love the Bride/Groom one! 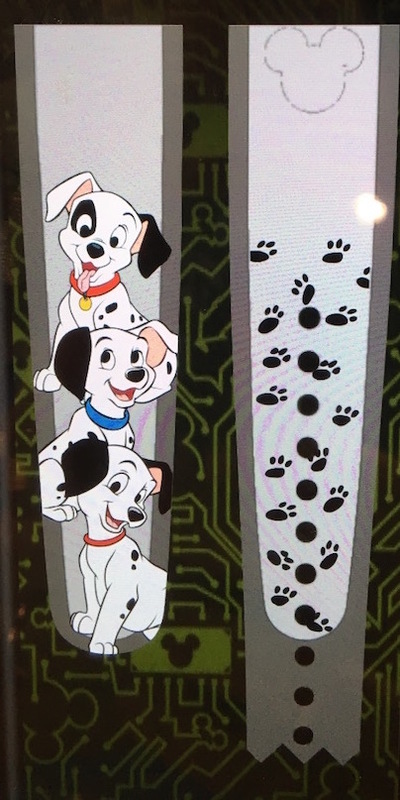 Can anyone confirm if these are available at the Tomorrowland station or is it just at Disney Springs? Our Disneymoon is in 3 weeks so I would love to avoid a wild goose chase with these if possible. haha. Thanks!! I am not sure… Disney Springs only as far as I know, but it could be at Magic Kingdom too. But don’t take my word on that.